Mark Soma brings more than 22 years of hands-on experience in information systems, information technologies, and operations to Evolve IP. 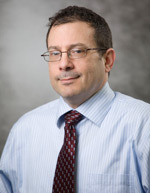 As Senior Vice President of Information Technology, Mr. Soma oversees the architecture and implementation of all operational and business support systems that the organization uses to operate and manage the business, as well as the design and development of unique telephony applications that will define Evolve IP as a leader in the hosted solutions market. In addition, he is responsible for providing Evolve IP customers timely access to performance-related information, so they can better manage their solutions and their businesses. Most recently, Mr. Soma served as Senior Vice President and Chief Software Architect at ATX Communications, Inc. As an executive officer of the firm, Mr. Soma had a wide range of responsibilities including systems, process, and product development. He conceived, designed, and implemented most of the organization’s operational support and billing systems and was instrumental in the design and development of many of the firm’s business processes. Mr. Soma holds a BAS from the University of Pennsylvania’s School of Engineering and Applied Sciences.